Le Trouble is a project space co-operated by Kimberley Cosmilla and Marcel Mrejen, hosted by ISO Amsterdam. 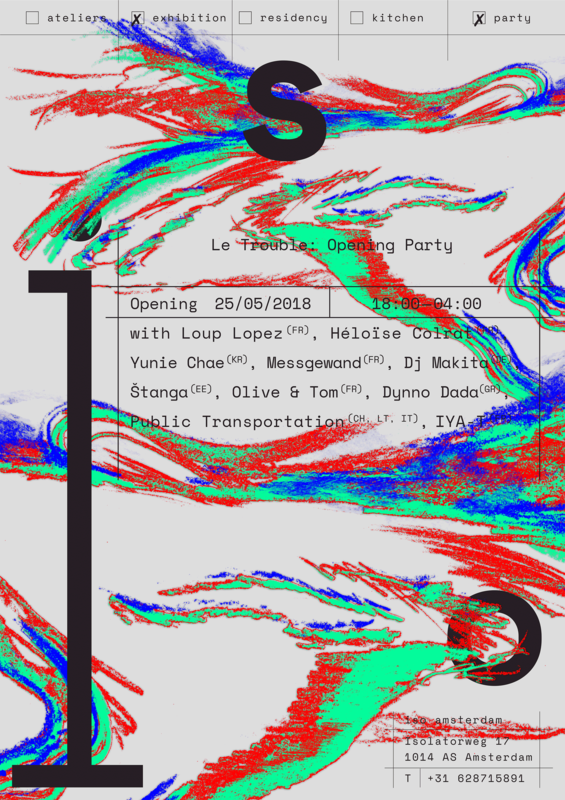 Le Trouble is almost a bar, a converging space that aims to blur the edges of the social and the cultural. Built as a functional assemblage of artist’s contributions, Le Trouble develops oblique modes for artistic autonomy. Le Trouble is an organ to power an entropic scene of artists, designers and performers through the curation of events within its framework. Click the button below to download a .pdf containing detailed information about the exhibition.